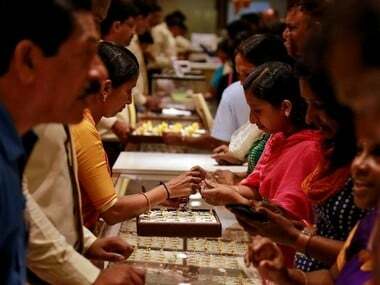 New Delhi: After subdued gold demand in last six months, jewellery and coin sales sparkled on Dhanteras today, with sales seen to grow by up to 25 percent on higher demand in view of good monsoon and favourable price levels. Dhanteras is considered to be an auspicious day for buying gold, silver and other valuables and is largely celebrated in North and West India. According to jewellers and MMTC-PAMP India, gold demand has picked up in the wake of good monsoon and favourable price levels. There was positive response and more footfalls. 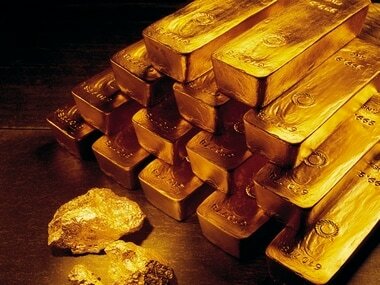 "There was robust demand for gold and silver coins as also bars this time as prices are at favourable levels. People are buying for investment purpose. We expect 15-20 percent increase in sales from over the last year," MMTC-PAMP India President (Marketing) Vipin Raina told PTI. But more sales are expected in the later part of the day, with office-goers in big cities coming in for buying late in the evening, he added. Gold prices are ruling at Rs 30,590 per 10 grams in the national capital, about 16.6 percent higher than Rs 26,230 on Dhanteras day in 2015. Silver traded at Rs 42,700 per kg as compared with Rs 35,410 per kg last year. Echoing his point, Kalyan Jewellers Executive Director Ramesh Kalyanaraman said, "The advance booking for jewellery is up by 20-25 percent compared to last year. The update on sales figures will be known in the evening." "Prices are lower when compared to last two months. Prices are more or less stable now and also demand has revived in view of the good monsoon," he said. P C Jewellers MD Balram Garg said, "We are expecting 20 percent jump in volume and 30 percent in value terms as prices have gone up in the last one year." This is a conservative estimate, but sales could cross this level, he added. World Gold Council (WGC) MD Somasundaram PR said, "It appears that, as was widely expected, this Dhanteras has ushered in a new phase of optimism around gold, particularly after an unusually difficult first half." 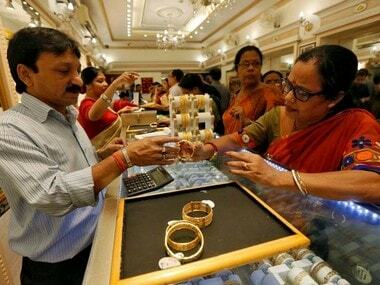 He said in a statement: "Consumers who have been deferring gold purchases are back and the demand for gold jewellery and branded coins seems to be much better than the previous years Dhanteras and Diwali festival." The good monsoon and a softening of gold prices have "definitely" improved sentiment around this traditional asset class and the wedding season ahead appears promising for trade and consumers alike, he added. The country's gold demand had fallen 30 percent to 247.4 tonnes during the first six months of 2016, from 351.5 tonnes in the year-ago period, as per WGC. India is the world's largest gold consumer and imports a sizeable chunk of its total annual consumption of around 900-1,000 tonnes. All India Gems and Jewellery Trade Federation former chairman Manish Jain said, "There is good response in most parts of the country. About 20-25 percent increase in sales is expected at the end of the day." Jewelsify.com founder Hardik Kapoor said the company expects triple-digit growth rate this time compared to last Dhanteras. There has been a drastic rise in diamond jewellery sale and customer's preference has shifted from gold bars to diamond jewellery, he added. 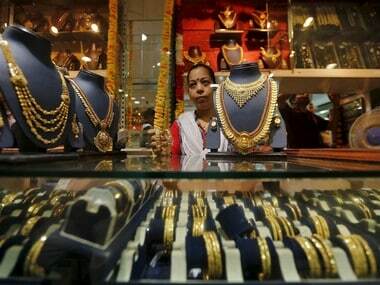 Stating that there is revival of gold demand, Lucknow-based Lala Jugal Kishore Jewellers Director Tanya Rastogi said, "The recent drop in gold prices has triggered sales among watchful buyers. Footfalls have been good." Mumbai-based Manubhai Jewellers Director Samir Sagar said, "We are excited about the festive rush and are expecting an above-average footfall at our store, with a healthy 25-30% jump in sales of gold jewellery compared to last year." Anmol Founder Ishu Datwani is expecting demand build-up for both gold and diamond jewellery since gold prices have gone down. 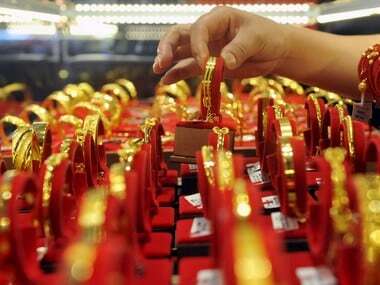 "We are expecting at least 20-25 percent increase in sales this Diwali," Datwani said. Waman Hari Pethe Jewellers Director Aditya Pethe, said, "This is our first year on e-commerce, and we have noticed a rise in sale on our online store too during this season where light-weight jewellery like pendants, earrings and rings have been popular."